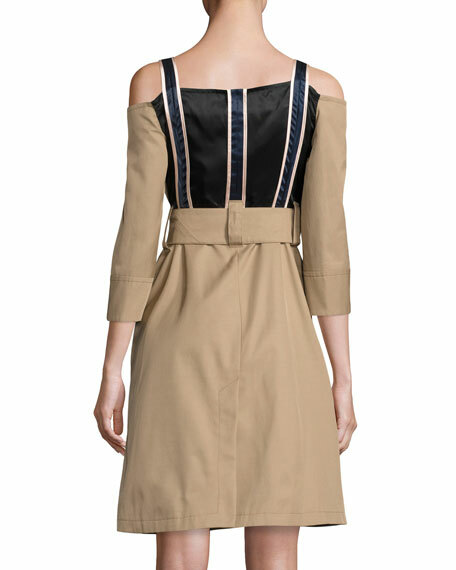 Opening Ceremony twill trench dress, featuring a stripes satin contrast. Notched, square neckline; button front. For in-store inquiries, use sku #2105407.